Jean-Philippe, grew up in the Basque region of France. After receiving his degree in dance, he accepted scholarships to study in some of Europe's most prestigious schools: MURDRA, Maurice Bejart's school in Brussels, and John Cranko's school in Stuttgart. At the invitation of David Howard, Jean-Philippe, came to America to study at the David Howard Dance Center in New York City. It is there that he quickly became good friends with Suzanne Laliberte' Clark, who, then, directed the New Paltz School of Ballet and the Hudson Valley Regional Ballet Theatre. For five years he worked with her, training pre-professional dancers through the school and company while pursuing his professional performing career. 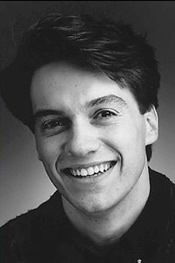 Jean-Philippe has performed soloist roles with various companies throughout the country, including Joffrey II, Los Angeles Classical Ballet, Ballet Hispanico of New York, and the Lyric Opera of Chicago. He has been recognized by the US government as an artist of extraordinary abilities, and was granted a permanent resident status. Malaty has since gone on to achieve great success as the director of The Aspen Santa Fe Ballet, with his partner Tom Mossbrucker. The professional company is highly recognized throughout the country for their impeccable foundation of young classically trained dancers, masterfully presenting a diverse repertoire of contemporary and innovative works by leading choreographers. Treasured by their western US audiences, the company also remains in constant demand, touring the United States. Jean-Philippe has become a sought-after teacher and has taught master classes and lectured on dance pedagogy across the country.